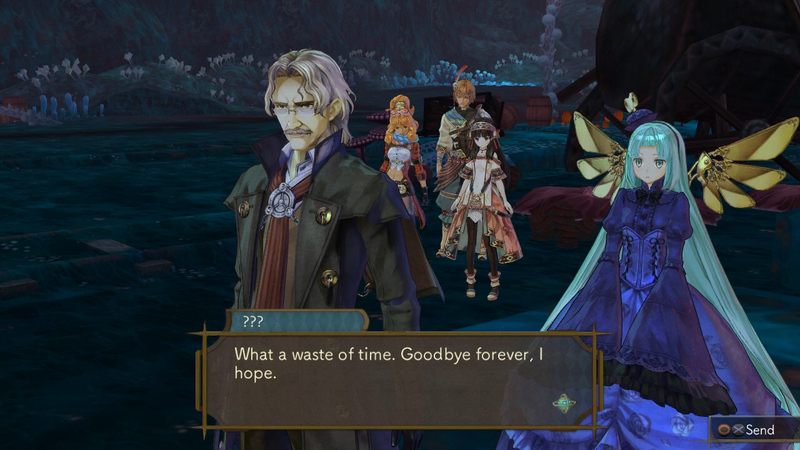 Via press release Koei Tecmo has released some English screen shots and videos from their upcoming release of Atelier Shallie: Alchemists of the Dusk Sea. 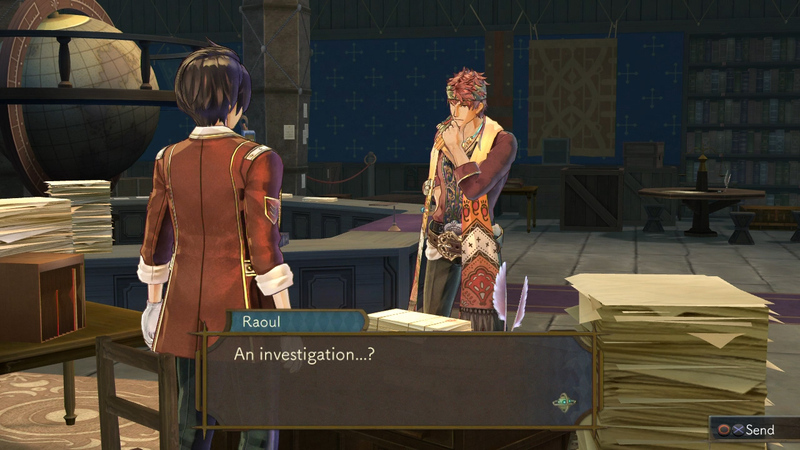 Let’s check out some information directly from the press release detailing some of the characters and the story. 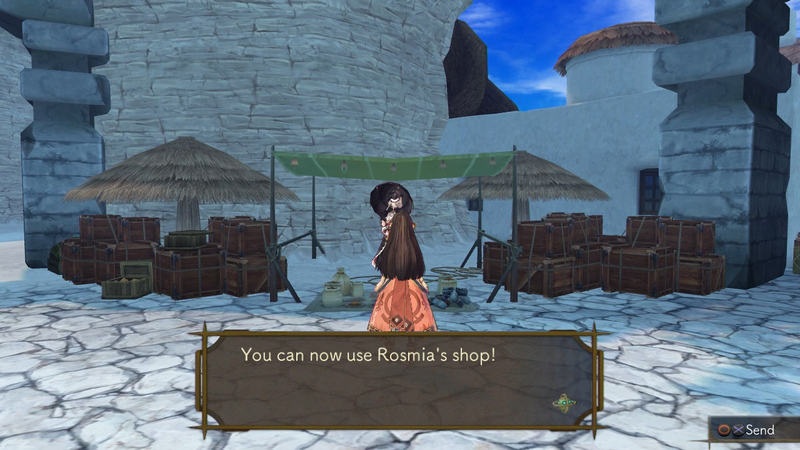 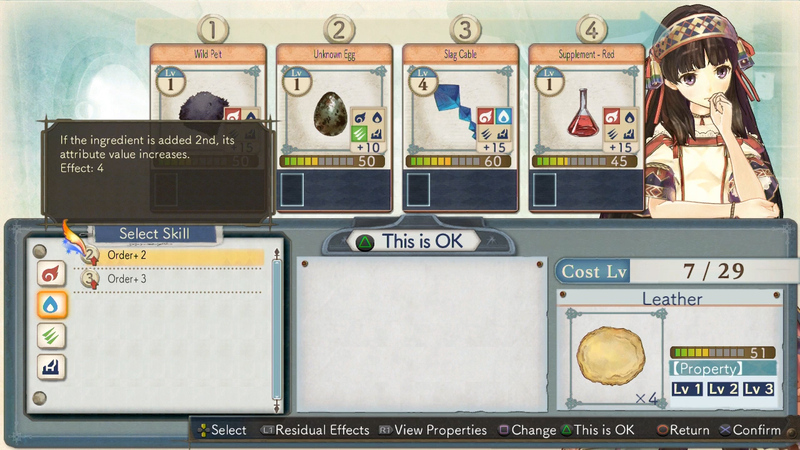 Shallistera plays a key role in Atelier Shallie: Alchemists of the Dusk Sea. 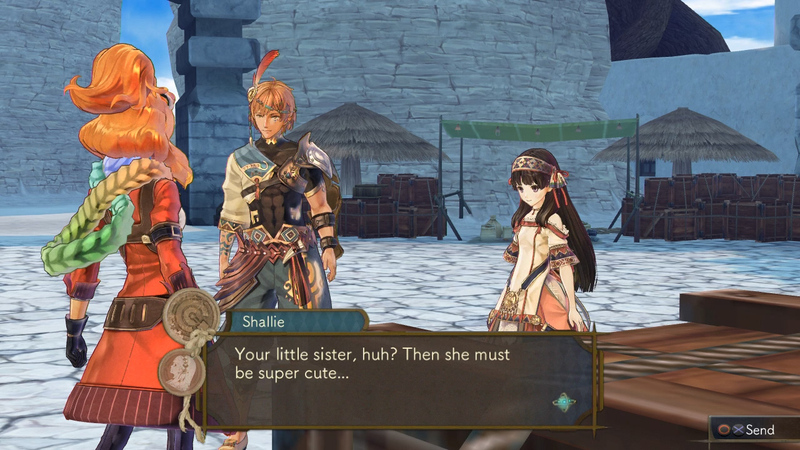 Called ‘Shallie’ by her friends, Shallistera is the daughter of the chief of a ship clan, who use and keep the tradition of “ships,” relics of ancient alchemy passed down for generations. 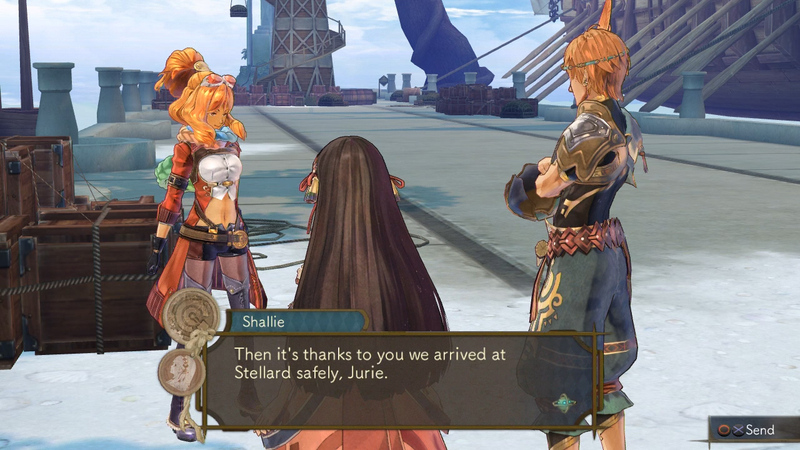 When a crisis hits her homeland and with her father falling ill, Shallistera sets off on an adventure to a distant oasis city called Stellard, seeking assistance. 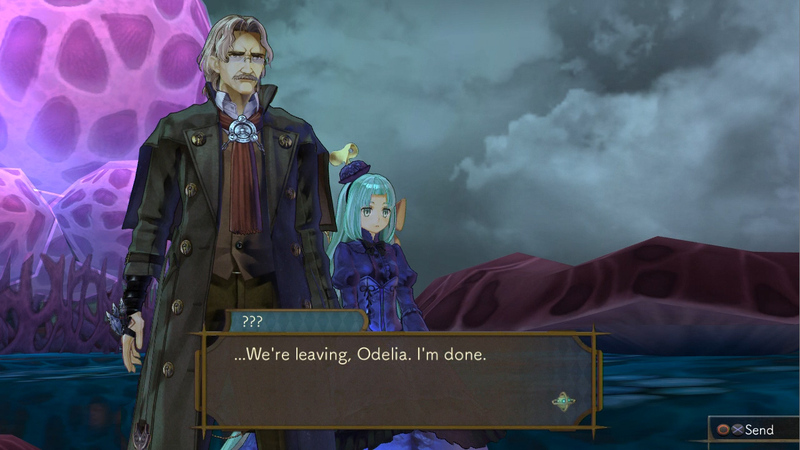 The city of Stellard hides more challenges for Shallistera, as she will have to get involved in the affairs of Gerard Perriend, Chairman of the “Perriend Corporation” that manages the scarce and valuable water source, and his secretary Linca; or Raoul Pireit, president of the ‘Cooperative Union’ and a central figurehead for the citizens. 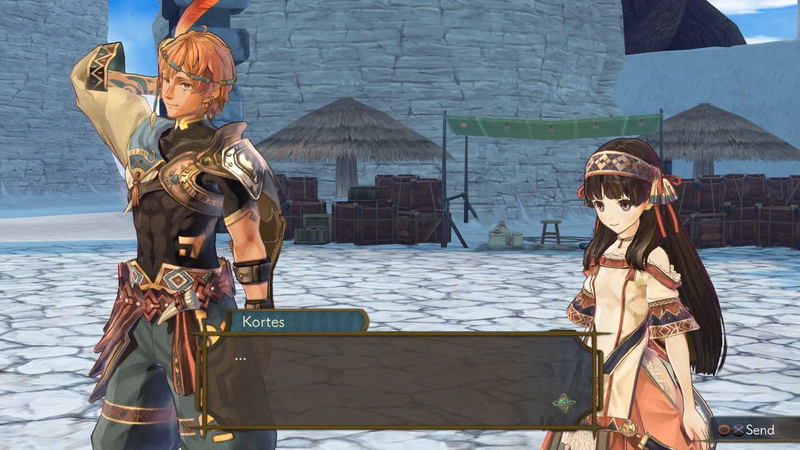 On her journey, Shallistera is accompanied by her loyal friend and Guardian Teokhuga (Teo), a shipwright and advisor of her clan who has looked after Shallistera since her childhood. 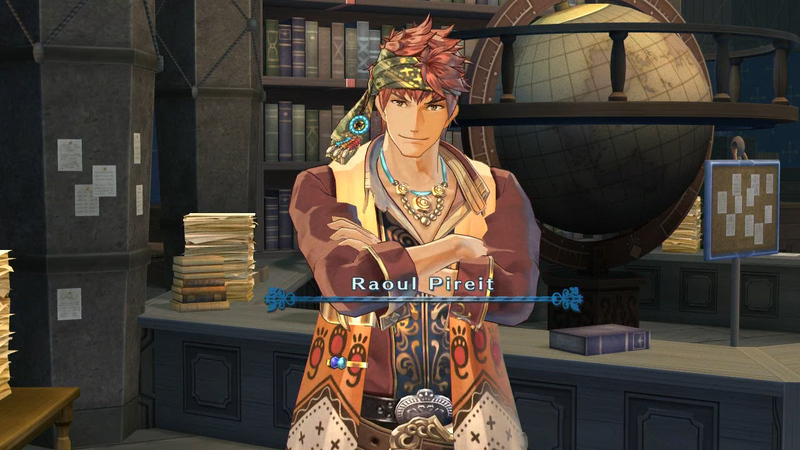 More family than friend, Teokhuga manages the clan’s treasured ships, and knows much about the traditions and legends surrounding them. 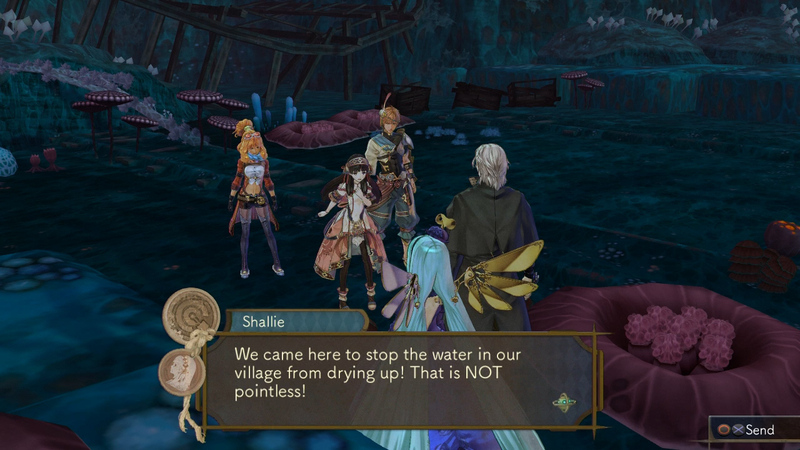 Shallistera and Teo will travel far and wide meeting many exciting people in their quest to save their village. 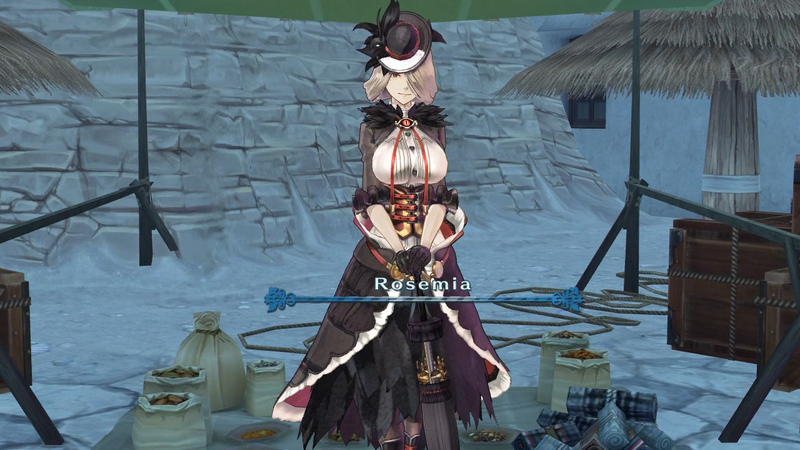 Among them, there are helpful figures like Rosemia a shop owner who wanders the Dusk Sea in her own ship, collecting various valuables and selling them to people in need; or Odelia an Automaton who seems to have all the knowledge of the world safely saved in her head. 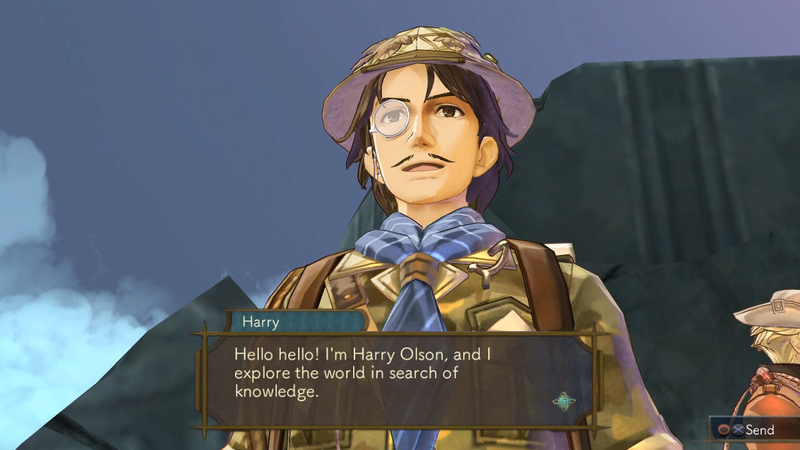 Shallistera also finds a friend in the face of Harry Olson, a self-proclaimed adventurer, businessman and investor with a liking for rare and strange items. 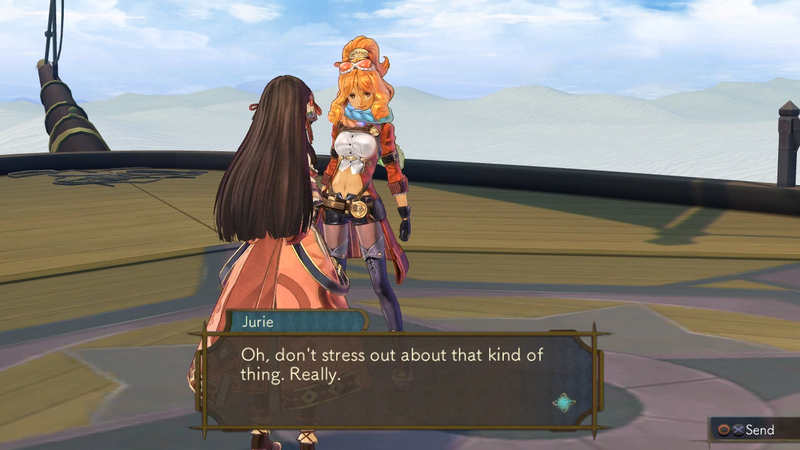 Luckily our protagonist doesn’t have to face the dangers of the Dusk world alone. 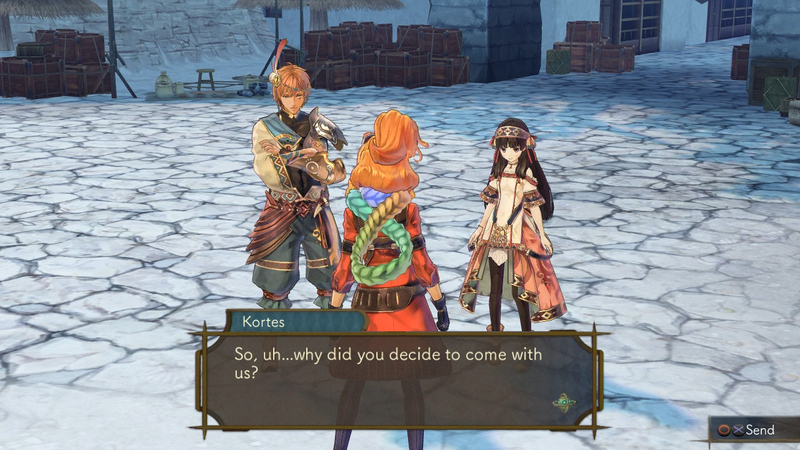 From the very beginning of her story Shallistera is joined by her childhood friend Kortes, a trained martial arts warrior, while a little further down her path she meets and befriends Jurie Crotze, a treasure hunter who uses her knowledge of lore and legends to collect enough valuables to pay off her family’s debt. 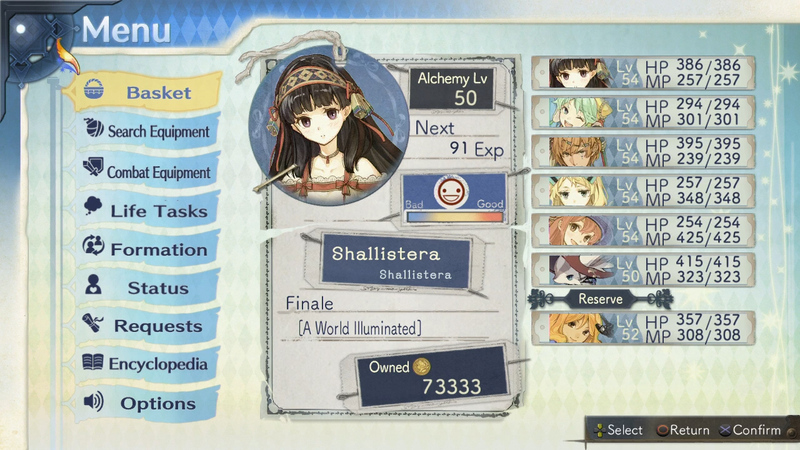 For Shallistera, Atelier Shallie: Alchemists of the Dusk Sea is a long coming of age journey for survival, where friendship, loyalty, and ancient alchemy each play an integral part in completing her quest and saving her homeland. 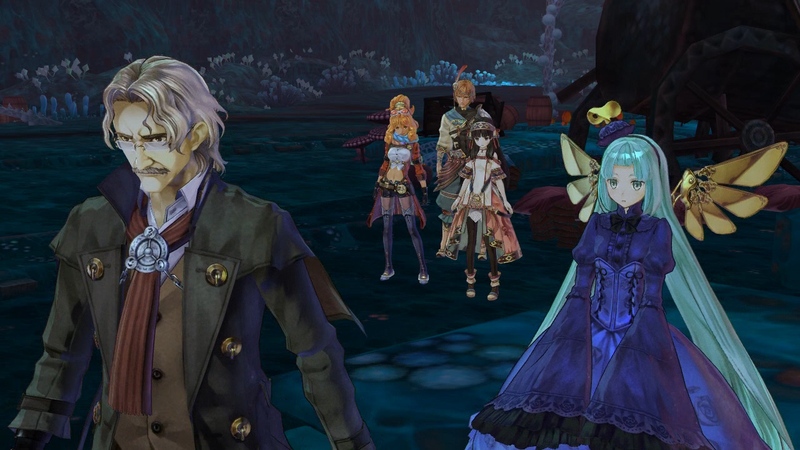 Here are some videos showing off the English gameplay and some character scenes. 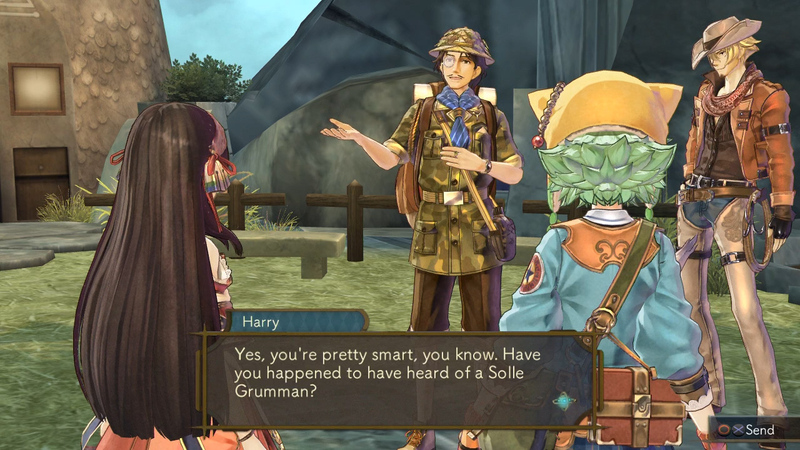 The game will release in North America on March 13th, 2015.